I remember now why I stopped trying to plan what we would do while we were traveling and just went with a spontaneous and flexible attitude, hoping that we would have fun along the way. It is because our plans often go awry and then I am left feeling like I missed out (just a little). 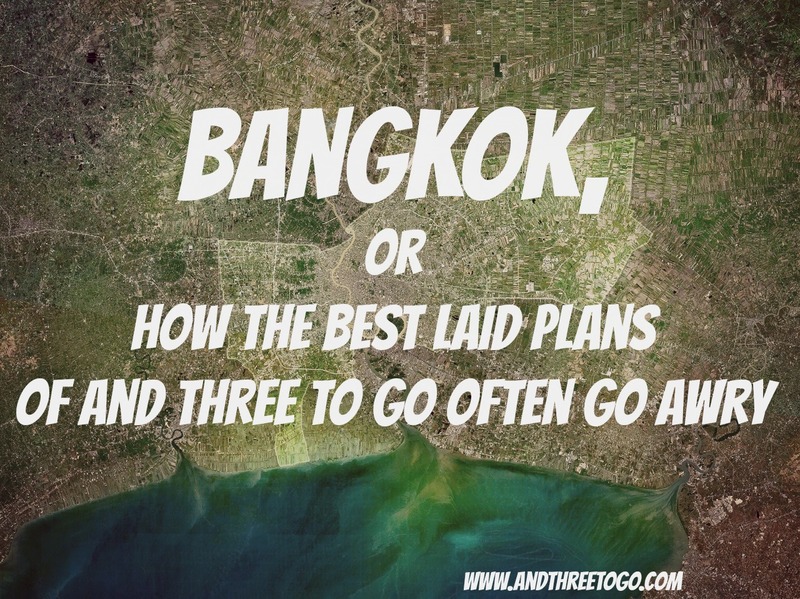 My luck with planning was no different on our recent trip to Bangkok. We would go to the IKEA and search around for new furniture for Z’s room. Z is turning 4 soon and she has asked for a room remodel for her birthday present… with a little help getting the idea from Chad. We get a quick lunch somewhere near Ikea, but not in Ikea (I am not a real fan of their food). We would taxi our way to The Museum Siam and spend the rest of the day learning about Thailand with their interactive displays. It would be an afternoon of quiet contemplation and discussion with Z about Thailand and its history (at a 3 year-old level of course). Not only that, but I was excited to have a post to write that included some different information about Thailand besides just what to do. We would have dinner at Mikkeller Bangkok which boasts of 30 different craft beers/ciders on tap at all times. Oh, and they serve food as well. Chad had been there in the past and was looking forward to trying it out with me and Z. We did start our day with a bagel and cream cheese at Au Bon Pain, well mine had smoked salmon as well. It was delicious! 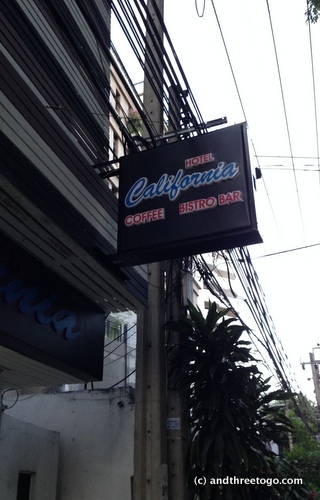 We stayed at the Hotel California and I was very happy with the accommodations for only $25 USD a night. The room had three beds, so none of us had to share. It was so nice and restful. The staff was also very helpful and kind. But you can never leave! ” Ahem.. Sorry about that, I couldn’t help myself. It was actually a really nice place to stay though. 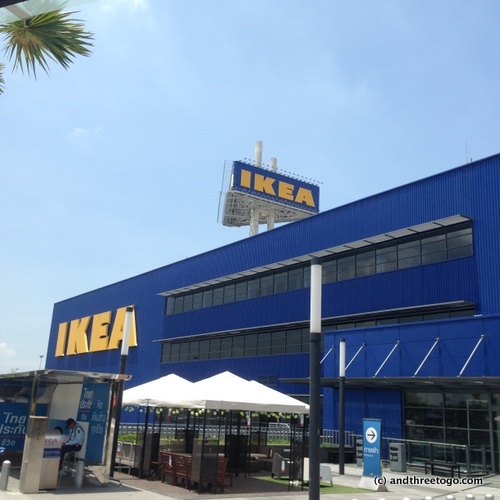 We made our way to IKEA and were amazed at the size of it. The Ikea back in Northern California was big, but this store was MASSIVE! Not only that, but it was attached to a even-more-massive mall called the Mega Bangna. We spent a couple of hours looking through the furniture and accessories and came out with just one little stuffed-animal sling. But it was fun to look. We then entered the Mega Bangna and found a Mexican food restaurant for lunch called Sunrise Tacos. I never have much hope for Mexican food here in Asia, but it was surprisingly delicious… although the tasty margarita might have loosened my taste buds a little. Fresh Guacamole and fresh made tortilla chips! HERE IS WHERE MY PLAN WENT AWRY- As we walked through the mall to leave, I noticed that the had a Payless ShoeSource Store and right there on the end of one of the aisles I saw something that brought a tear to my eye… WOMENS SIZE 11 US. Yep, that’s right I practically cried tears of joy seeing that they had my huge size shoes! All thoughts of museums and blog posts exited my mind. All I saw was shoes…. And so we stopped in, and I proceeded to spend an hour trying on shoes, figuring out which ones would be most useful, and pretty much just trying NOT to buy every pair. I left the store with 3 pairs that I love and I think will be a great addition to my shoe choices at home. One of the pairs that I bought… Now I can actually dress up! That was when I realized the time… the museum would have to wait for next time we went to Bangkok. It was 2 hours until the museum closed and the taxi ride would be about 45 minutes (if traffic wasn’t horrible, which it almost always is in Bangkok), so there was not enough time. I actually felt a little sad about it, so I stared at my shoes for a minute to remember the awesome reason that I missed out on the museum. After that, Z and I went to the Kidzoona (every mall has some sort of kids playground here in Thailand I think) and she played until we had to leave to meet Chad atMikkeller. 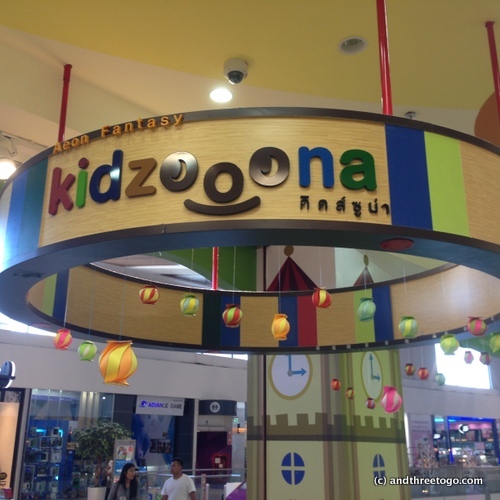 Hello Kidzoona… we meet again. Mikkeller was good, they had a cider and a couple Lambics for me to drink. Chad had his pick of many different types of beers. The food was alright, but a bit pricey. The ambience was awesome though. We sat in a garden on bean bag chairs by candlelight. It was beautiful. The day was over, we headed back to our hotel, packed up and prepared for our early morning flight then next day. Overall the day did not go exactly as planned, but it was still a great day (SHOES!!!) . 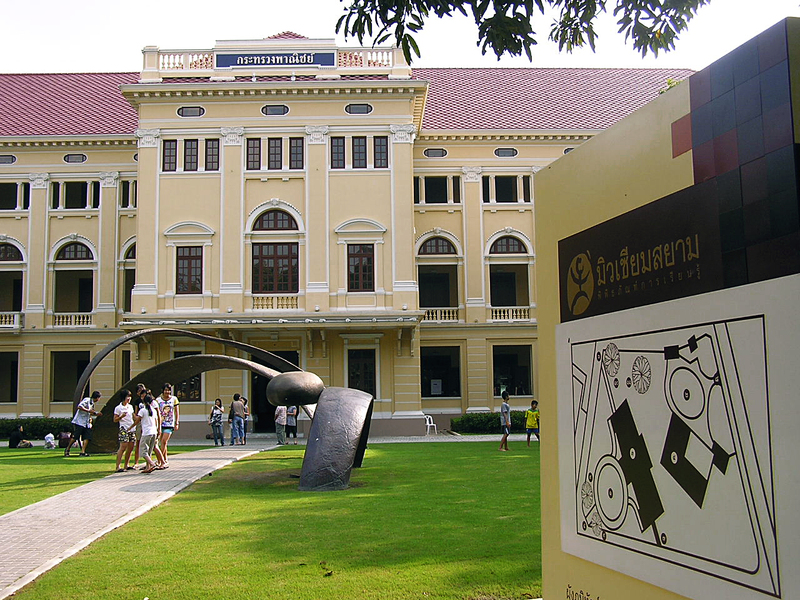 And now I have a plan for next time we go to Bangkok, I will get to that Museum at some point! Now it’s your turn! Are you a planner when you travel? How do you feel if your plans go awry? Do they always go awry like ours do, or is it just us? Leave a comment and join in the conversation! Im so glad you got some shoes! Super cute! Those Kidzoona’s look awesome! Wish we had those here…I’d play on them! OTT with planning always, that’s me despite trying to loosen up and go with the flow – not so great with that. However even I would probably be ok with plans that went awry for 3 great pairs of shoes, sounds perfect to me! Joy, your trips are an inspiration to me to get better about planning … I love how much you see and do! And your pictures are always excellent! I’m so happy you found shoes! And I like Lambics a lot! I used to plan extensively, but not too much packed in in one day (My husband HATES that.). Now, I can’t plan anymore, and my husband plans for us. Too many kids to occupy my time. But your day sounds lovely! Just a nice sort of day with Z and Chad for dinner. A nice day. Those are fun travel days. LOL! A lesson in overspending? Nah. How about a lesson in multiplying by twos? Three pairs. Six shoes. You’re just so lucky to be travelers. Shoes first. Absolutely! I know exactly what you mean, I have huge feet too although I’m (ahem) petite and even in Germany, I can’t get “real” shoes of the strappy variety, I always have to go back to England for them as German women prefer “sturdy” shoes LOL! As for planning, I have a rough idea and if it changes, it changes! I tend to want to plan all that we will see and do and our hotels or lodgings but am married to a “lets get our first hotel and play the rest by ear” kind of guy, so I have at last learned to compromise to spar myself a stressful and bitter vacation and likewise hubby has learned I need/like a bit more structure. So, our latest trip was pretty stupendous. The huge advantage I see over a slightly more flexible approach then I would lean toward, is that if you are having a wonderful time and there is much more you want to see, you’re not forced to move on. I usually fly by the seat of my pants. I usually won’t plan till that day 🙂 except on very rare occasions. I will read up on a place, but that’s usually it. Love those black wedgies..nice! Sounds like a great day- even without the museum. I’m surprised to see that there are so many similar shops as what we have here. IKEA gives me a headache, but I travel there once in a blue moon. Glad Z could see things for her ‘new’ room, that you found shoes, and were able to take in a few drinks (and a meal) on the outing. Lastly, I wouldn’t be able to pass up the Hotel California either. There was a hotel with that name in Santa Monica, but they may have knocked it down with all the remodeling that they recently did over there. Great post! Thanks! It turned out to be a great day 😉 and ikea also gives me a headache… To much, it’s overwhelming!